Never close the door on your past. Celebrate teenage achievements. Simon Mckay was 15 years old when he started his punk fanzine Eccentric Sleevenotes with his mate, Stephen. It was Tyneside’s answer to Sniffing Glue. Simon stopped interviewing bands and started his own, Said Liquidator. I first met him when I interviewed him for Newcastle’s Evening Chronicle back in 1989. We became friends and Said Liquidator came to visit me when I lived and studied in Hull. 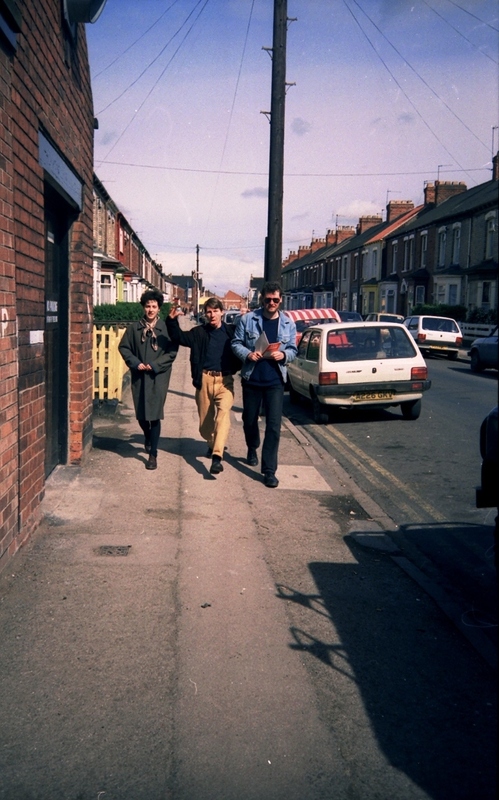 In fact here’s a photo taken on that visit back in spring 1991. Can you spot the poet? Now Simon presents a weekly post punk radio show, has produced an online archive of Eccentric Sleevenotes and he hangs out with Fenella Fielding. They also present radio shows together and have an on air chemistry that is a delight to hear. 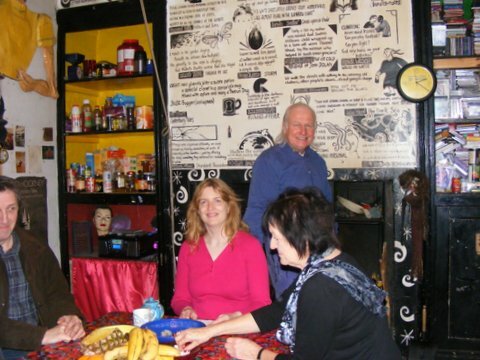 A few years ago Peter “Iron Press” Mortimer used to host a regular spoken word and music evening called Free as a Bard at the Trojan Rooms in Whitley Bay. I started attending soon after moving to the coast. I liked the fact it was on a Sunday evening and that there was free fruit on every table. I also liked Pete’s choice of poets and musicians. They always seemed to fit well together: Sheree Mack, The Creels and more. The final workshop for Pieces from Eight took place in Pete’s amazing home in Cullercoats last Spring. 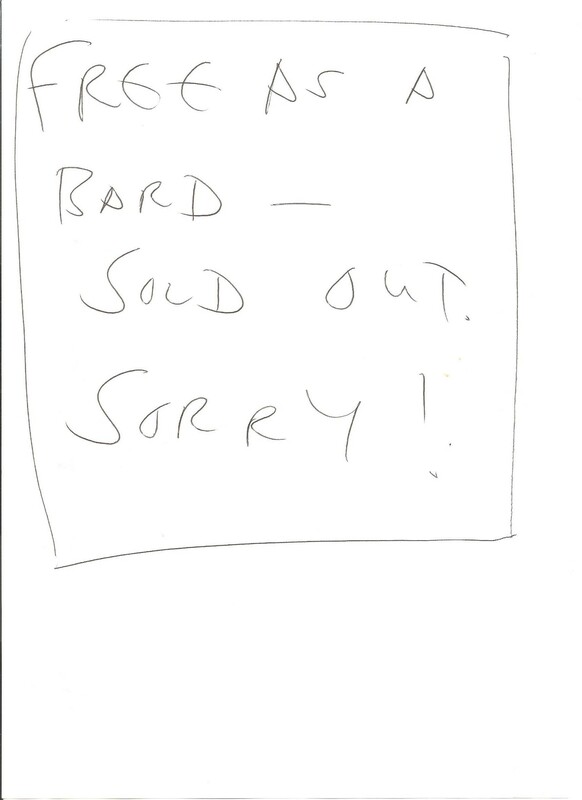 I suggested Pete revive Free as a Bard ( or FAAB) and one of the Pieces from Eight poets suggested I help him. So I did. Artist Karen Mitchell who used to run The Ballarat in North Shields also got involved. 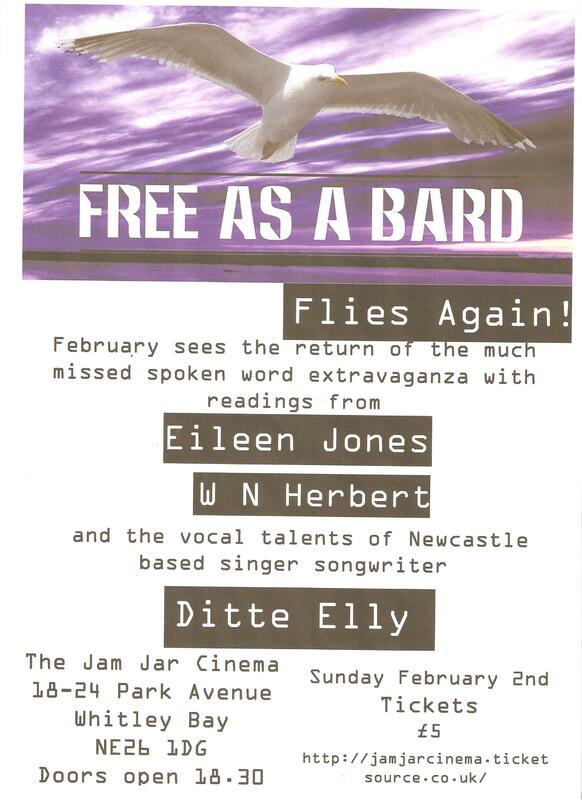 The result was tonight’s Free as a Bard event at Whitley Bay’s Jam Jar Cinema.